PORT ALBERNI – Researchers continue to look for answers to last year’s unusual armyworm outbreak on Vancouver Island and in the Fraser Valley while affected farmers remain vigilant against the pest. Seemingly out of nowhere, the very hungry caterpillars started chowing down on forage crops across southwestern BC last summer. In its moth form, true armyworm (Mythimna unipuncta) reportedly drifted north from the US in historically large numbers. The larvae devastated healthy grass and corn crops while experts scrambled to find out what was going on. After a year, the threat seems to have died down and research into the phenomenon has begun. The resulting damage to grass and corn varied across affected areas. “I know that some fields were 100% write-offs and I know that other fields had a much lower percentage of impact,” she says. Hueppelsheuser has continued to monitor insect traps in the affected areas. She’s determined they likely did not survive the winter because the traps were empty from December until this spring. Armyworm are not able to diapause – or rest – when the temperature gets colder. This limits their ability to overwinter, and the empty traps indicate the population died out. When armyworm moths did show up this year in late spring, Hueppelsheuser says the numbers were too low to cause alarm. Not much is known about their migrations to BC other than they seem to drift up here from time to time on wind currents. 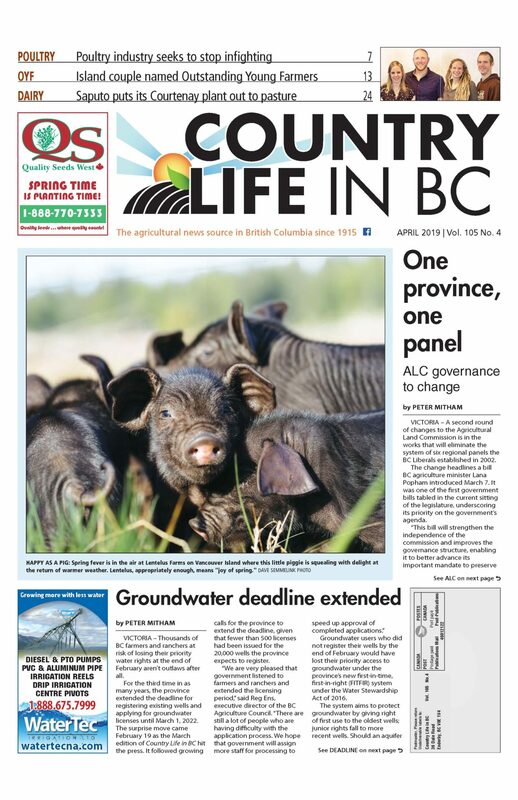 While the insect has more than one generation per growing season in BC, she says the population is low enough that the first generation this year is no cause for alarm. The second generation started to damage crops in the middle of August last year, so she urges farmers to continue to keep their eyes open. Meanwhile, farmers in the Alberni Valley are still recovering from the march of the armyworm last summer. The loss of forage caused some to cull their herds, while others had to import feed from off-island sources. George Haack has been farming the valley since 1969 and normally has enough hay to sell on the side after feeding his beef cattle. He said he lost around 500 round bales in total last year. Haack culled his herd over the winter and is down to 32 from 130 head last year. He took it as a sign he needed to change pace. Others paid to keep their herds alive. 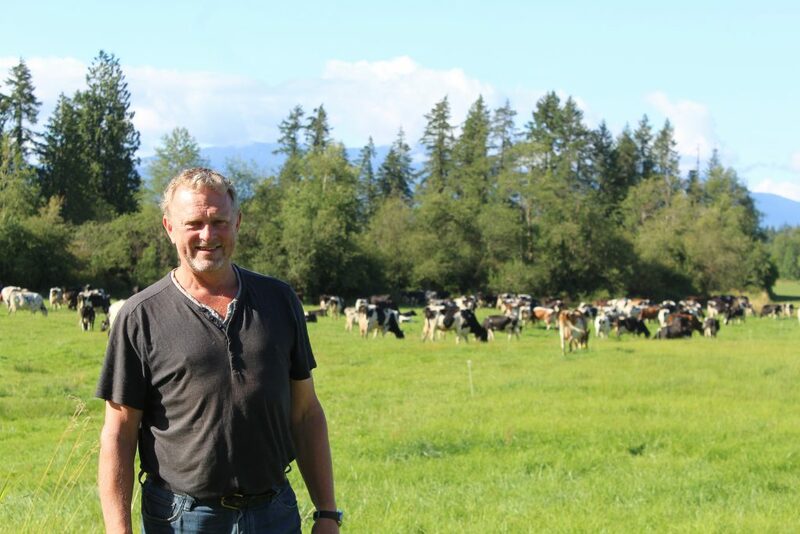 It cost Terry Shannon $150,000 to maintain his herd of 400 grass-fed dairy cows over the winter. His 500 acres of grassland is enough to support his entire herd, but the armyworms took over. If this wasn’t bad enough, the insect’s picky eating habits upset the balance of plants in his fields. “On third cut, all the regrowth was pretty much clover and [as a result] I ended up losing a couple animals with bloat, which I never pexperienced before,” he says. While last year’s infestation may have been unusual, Hueppelsheuser says it can happen again. Where and when is tough to predict, however. She says the best growers can do is check with local farming associations and keep an eye on their fields. If armyworm does reappear this summer in large numbers, Hueppelsheuser says there are ways to mitigate the damage. Quickly cutting the grass or grazing animals in fields will help because armyworm prefers fresh, uncut grass. Natural predators of armyworm are parasitic wasps, parasitic flies and predatory beetles as well as birds. Pesticides also work. Hueppelsheuser’s team has joined with researchers in California, Oregon, Washington and Eastern North America in an attempt find out exactly where in the US they come from and what wind currents they use to travel around Western North America.